Famotidine is a medication used for the treatment of certain digestive disorders, including ulcers. Famotidine may also be prescribed for inflammation of the stomach or esophagus, and for reflux. How it works: Famotidine blocks the action of histamine in the stomach. Histamine is a chemical released by the body that, in the stomach, causes more acid to be produced. 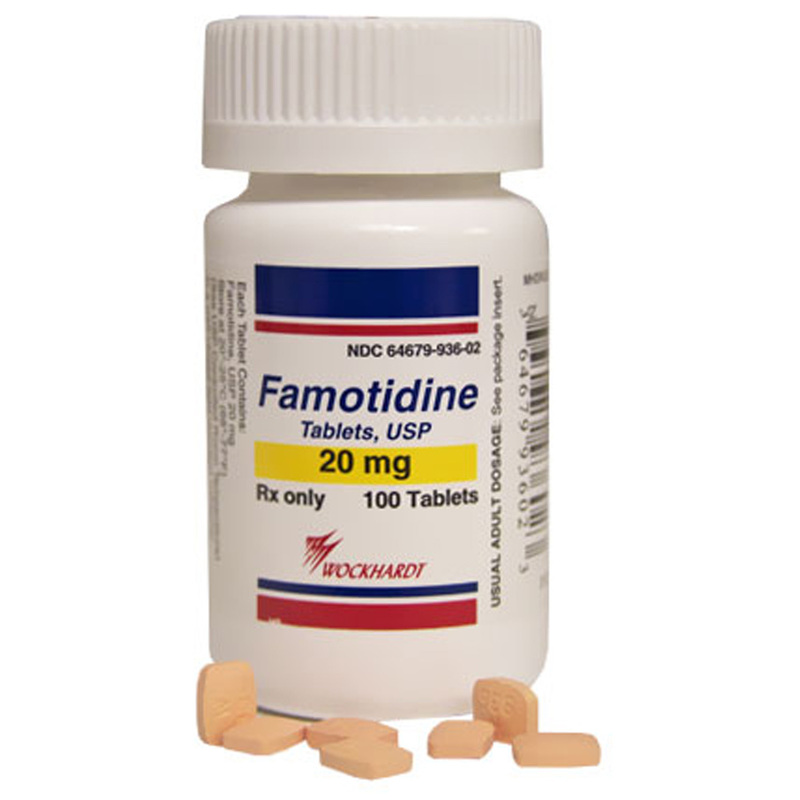 By blocking histamine in the stomach, Famotidine reduces the amount of acid produced. Dosage & Administration: Give the oral form by mouth. Always follow the dosage instructions provided by your veterinarian. If you have difficulty giving the medication, contact your veterinarian. What happens if I miss giving a dose: Signs may recur if a dose is missed. If you miss a dose, give it as soon as you remember. If it is almost time for the next dose, skip the one you missed and go back to the regular dosing schedule. Do not give two doses at once. What should I avoid while giving Famotidine to my pet: Notify your veterinarian of any other medications, including vitamins and supplements, your pet is taking while your pet is receiving Famotidine. Consult your veterinarian before using Famotidine with antacids, metoclopramide, sucralfate, digoxin, or ketoconazole, since interactions may occur. Give the Famotidine 2 hours before or 2 hours after the other medication(s). 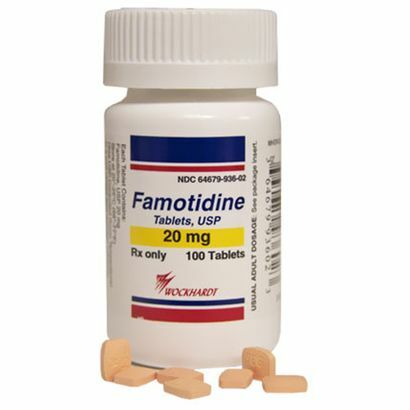 Famotidine may decrease white blood cell counts, especially if given with other bone marrow suppressing drugs such as azathioprine. Possible side effects of Lactulose: Side effects are rare with Famotidine. You may see a loss of appetite and tiredness. If you observe these signs in your pet, contact your veterinarian.